Strong exposure to key economic regions. Deep discount for both P/E and P/B. 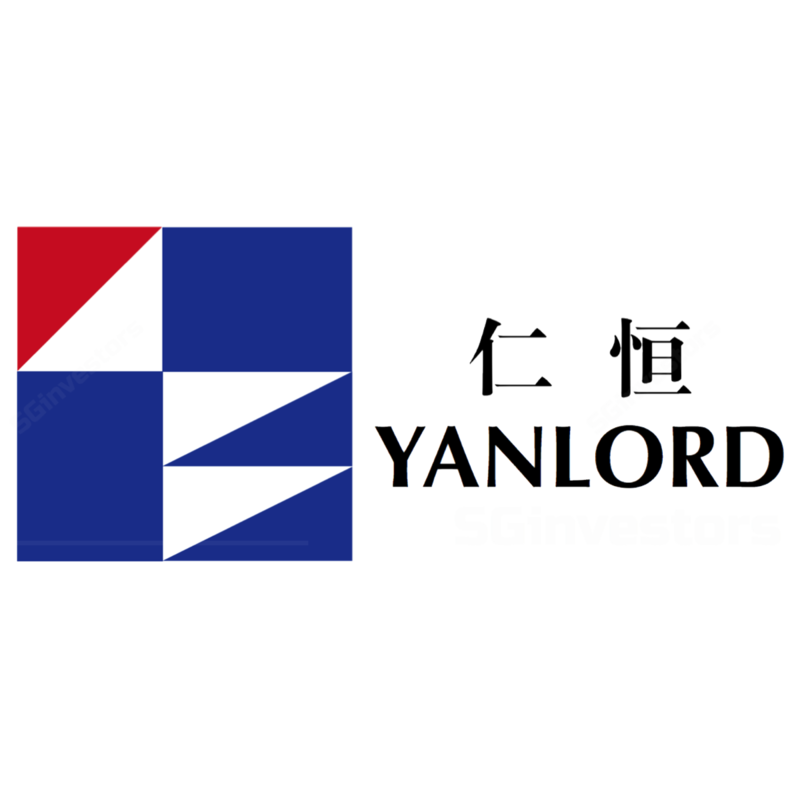 Yanlord Land Group Limited (Yanlord 仁恒置地) was established in 1993 in the Yangtze River Delta and has since grown to become one of PRC’s leading real estate developers for high-end residential, commercial and integrated projects. The Group was listed on the Singapore Stock Exchange in Jun 2006. Yanlord Land currently operates in 15 key high-growth cities across six major economic regions of PRC, namely the Yangtze River Delta, Pearl River Delta, Western China, the Bohai Rim, Central China and Hainan Island. Yanlord has completed more than 8.1m sqm of total gross floor area (GFA), and it has a total land bank of 6.71m sqm, as at 31 Mar 2018. Yanlord predominantly operates in the PRC and has three main operating segments. For the Property Development segment, the group is engaged in the development and sale of residential, commercial and other high- end properties in the PRC. For the Investment Property segment, Yanlord generates revenue via rental income from leasing of its investment properties and also aims to gain from the appreciation of its properties’ values in the long term. Under the Others segment, Yanlord earns income from property management, ancillary services and investment holding in the PRC. The Property Development segment was the main revenue contributor for Yanlord in FY17, followed by Investment Property and Others segments. Despite flat revenue, gross profit rose 50.2% in FY17 to RMB12,044m, driven by higher margin projects in the Group’s key markets. Yanlord’s main source of revenue is derived from Tier-1 and Tier-2 cities in the PRC. To illustrate, Shanghai, Shenzhen, Tianjin, Chengdu and Nanjing accounted for 81.4% of the Group’s property sales in FY17. This was largely driven by Shanghai and Nanjing, which generated 55.3% and 20.8% of Yanlord’s property sales, respectively. Suzhou and Zhuhai came in next at 12.0% and 6.6%, respectively. We believe Yanlord’s strategy is to grow its market share in cities where it has established a superior brand equity and high product quality. The main project underpinning its growth in FY17 was Shanghai Yanlord on the Park (50% interest), which saw GFA delivery of 66,455 sqm at an ASP of RMB91,335 psm, or 23.9% of total property sales. Yanlord had a land bank of 6.74m sqm (including residential, commercial, investment and fixed assets) as at end-FY17, an increase of 13.7% from the previous year. A breakdown of FY17’s land bank based on our estimates reveals that Tier-1 and Tier-2 cities account for 19.5% and 58.7% of its land resources, respectively, while other tiered cities accounts for the remaining 21.8% of Yanlord’s portfolio. According to Yanlord, its existing land bank is sustainable in each of its key cities for approximately five years. Through strategic land acquisitions of quality land banks, Yanlord aims to consolidate its position as one of PRC’s leading high-end property developers across six major economic regions. As highlighted earlier, a combined 78.2% of Yanlord’s land back are strategically located in core Tier-1 and 2 cities of the PRC. Driven by its diversification strategy to achieve sustainable growth, Yanlord has expanded into several new fast- growing Tier 2 cities in FY17, such as Hangzhou, Jinan and Wuhan, although the main focus remains on Shanghai. In total, management acquired 1.43m sqm of prime development land for RMB20.3b in FY17, which translates into an average land cost of RMB14,177 psm. We believe Yanlord’s land bank composition positions it strongly for growth ahead. According to our estimates, 46.1%, 22.5% and 21.9% of its land bank is in the Yangtze River Delta, Bohai Rim and Greater Bay Area, respectively; and these are the regions which we are positive on. Despite cooling measures by the Chinese government, we believe housing demand remained resilient. Based on data from the National Bureau of Statistics (NBS), sales of residential buildings in China grew 9.5% y-o-y to RMB3.06t from Jan-Apr 2018, while investments in residential development projects jumped 14.2% y-o-y to RMB2.13t during the same period. As at 31 Mar 2018, Yanlord had RMB18,197m of accumulated pre-sales which are pending recognition, with advances received for pre-sale of properties and car parks aggregating ~RMB16,602m. Yanlord’s prudent and astute land acquisition strategies have allowed the Group to achieve an average land cost (RMB10,635 psm) to ASP (RMB43,288 psm) percentage of ~25.0% in FY17. This compares favourably to a number of its peers which we have tracked and also provides some buffer on its margins should there be further tightening measures by the PRC government. We believe Yanlord has established a strong branding in the high-end segment of the PRC real estate market. The Group’s focus is on prime locations which are near city centres with good accessibility to transportation hubs and attractive views. For example, Yanlord on the Park is located in Shanghai’s Lujiazui Financial District and its Orchid Mansions project has a lake view and is located near the city centre of Nanjing. As such, this further enhances the attractiveness and demand of Yanlord’s property projects across core markets which it operates in. Together with its superior product quality and fully-fitted property development strategy, this positioning allows Yanlord to leverage on its brand equity to charge premium prices on its projects, in our view. We note that Yanlord has consistently been able to charge an ASP well-above China’s market average. To illustrate, Yanlord’s average ASP over a five year horizon from 2013 to 2017 has come in at a 58% premium above the 5-year average ASP for 30 cities in China. In FY17, Yanlord recorded an impressive 61.5% y-o-y jump in ASP to RMB43,288/sqm while the ASP for the 30 cities in China was RMB19,282/sqm. Yanlord’s strong brand equity, expertise and track record have also translated into more business opportunities for the Group, as can be seen from its various collaborations with established industry players. These include GIC Real Estate, the real estate investment unit of the Government of Singapore Investment Corporation, Sembcorp Development Ltd, Ho Bee Land Limited and Hong Kong Land Holdings Limited (HK Land). Strategic partnerships have also been formed with China SOEs such as China Ping An Insurance Group, Beijing Capital Land Ltd, Poly Real Estate Group and China Resources Land Ltd. In our view, Yanlord has a history of delivering robust earnings growth despite operating in a competitive environment. Its gross profit and core PATMI increased at a CAGR of 62.6% and 71.1% to RMB12.0b and RMB3.2b respectively, from FY15 to FY17. Dividends paid also recorded an impressive growth at a 4-year CAGR of 51.2% from 1.3 S cents in FY13 to 6.8 S cents in FY17. Furthermore, we opine that Yanlord’s management has generated compelling value for its shareholders as exemplified by the increase in ROAE from 7.4% in FY14 to 14.7% in FY17. Yanlord’s founder, Chairman and CEO Mr. Zhong Sheng Jian has been actively purchasing shares of Yanlord since the start of the year. According to SGX filings, in May alone, he purchased 20.0m shares for a total value of ~S$34.2m, which translates into an average purchase price of S$1.71. YTD, Mr. Zhong has bought a total of ~27.8m shares totalling S$47.9m (average price of S$1.72), and currently owns 69.8% of Yanlord’s total ordinary voting shares outstanding (as at 5 Jun 2018). We believe this demonstrates a strong alignment of interests with minority shareholders and his confidence in the growth prospects of the Group. We believe Yanlord’s balance sheet remains healthy with a net gearing ratio (net debt/total equity) of 52.9%, as at 31 Mar 2018. Despite the Group taking on more debt to fund property projects as reflected by rising net gearing ratios (FY17: 50.8%; FY16: 20.3%), we believe current gearing levels are still manageable. Furthermore, Yanlord’s adjusted interest coverage ratio has increased from 3.6x in FY15 to 6.6x in FY17, based on our calculations. Thus, we believe this demonstrates Yanlord’s ability to service its increased debt obligations. Yanlord’s FY17 average cost of borrowing was 5.4%, which was slightly higher as compared to FY16 (5.2%) but lower than FY15 (6.2%). In terms of debt maturity profile, 21% of its borrowings will mature after five years, while 50% have a maturity period within 2-5 years, as at 31 Dec 2017. Yanlord has taken on a new asset light business initiative by tapping on a growing market for rental apartments in the PRC. It announced in Mar 2018 that it will be collaborating with Shanghai Pudong Development Group Limited to manage an estimated 1,740 rental housing units in Shanghai. This would leverage on Yanlord’s core competencies in project and property management which would create future recurring income streams. Yanlord has also managed to penetrate the recovering residential market in Singapore. It successfully tendered in Apr 2018 for the collective sale of Tulip Garden amounting to S$906.9m (~S$1,790 psf ppr) via a joint venture with MCL Holdings (subsidiary of HK Land). Tulip Garden is located in District 10 and is minutes away from Farrer Road MRT station and also in close proximity to Holland Village. With a gross plot ratio of 1.6, this site could yield an estimated 670 prime residential units potentially and is targeted to be completed by 2023. Management highlighted that it will continue to seek further opportunities in the Singapore market. Meanwhile, Yanlord has also gained exposure to the Singapore commercial, hospitality and industrial markets via its acquisition of an initial ~33.72% stake in SGX-listed United Engineers Limited (UEL) via Yanlord Perennial Investment (Singapore) Pte. Ltd. (Yanlord Perennial), a consortium between Yanlord (49% interest) and Perennial Real Estate Holdings (45% interest). Yanlord Perennial holds ~34.04% interest in the ordinary shares of UEL, as at 5 Jun 2018. Given the PRC government’s initiatives to rein in speculation in the real estate market through tightening credit conditions and other cooling measures such as housing policy restrictions and increasing down payment requirements, it was not surprising that residential price growth has moderated. According to statistics from NBS, gains in new residential home prices in the 70 large and medium-sized cities tracked by NBS slowed to +5.3% y-o-y on average in Apr, versus +5.5% y-o-y in Mar and +5.8% y-o-y in Feb. Putting things in further perspective, Apr’s figure also pales in comparison to the beginning of last year, when home prices were still increasing more than 10% y-o-y (Jan, Feb and Mar 2017). Prices are now contracting in the Tier-1 cities of Beijing (-0.7% y-o-y in Apr), Shanghai (-0.2%), Guangzhou (-0.8%) and Shenzhen (-2.2%), while data points are mixed in Tier-2 cities. Notwithstanding the softer pricing environment in Tier-1 cities, we believe companies with superior product quality such as Yanlord will continue to drive demand for its projects, albeit with price caps in place. We expect rising urbanisation rates to spur demand for residential property over the medium-to-long term horizon. The Yangtze River Delta has recorded urbanisation rates of 70.5%, well above the national average of 57.3% in 2016. Research has shown that as the rate of migration reaches between 30%-70%, there will be an accelerated migration of population towards city clusters. The five major city clusters which include Yangtze River Delta and Pearl River Delta (part of Greater Bay Area) will make up 50%-60% of China’s total population. As such, we believe the population density in these economic regions should increase in tandem with rising urbanisation rates. This will benefit Yanlord strategically and operationally as these are two of the core markets for the Group. We believe Yanlord will be able to continue to capitalise on real estate demand stemming from increasing urbanisation in the cities. General policy efforts are targeted towards improving expressway networks and increasing capacity across the Yangtze Economic Belt. This belt will also be home to five emerging industries (digital information, high-end equipment, automobiles, home appliances, textiles and garments) which are top development priorities of the PRC government. To support these industries would require development of multiple transportation methods across the belt. Thus, plans such as the construction of a 12.5m deep water shipping channel and building of high-speed railways are underway. Furthermore, the government has also planned for port upgrades in the Bohai Sea rim and the Yangtze River Delta. Shanghai will continue its leading role as an international financial, trading, shipping and economic centre. Given Yanlord’s strong positioning in Shanghai, we believe it would stand to benefit from these network projects resulting in a potential increase in economic activity along the belt. The Greater Bay Area (including Guangdong-Hong Kong-Macau) is expected to benefit from expected policy changes that will position it competitively from other bay areas. While there appears to be some delays in the announcement of a major economic integration plan by the government, we expect the impending initiatives to be structurally positive for domestic property demand. Infrastructure connectivity will be a catalyst for the GBA. Efforts to improve transport infrastructure and make inter- city transport more convenient will raise accessibility in this area significantly. Therefore, this will attract investments and create employment in the area. Additionally, this would result in an influx of people to move to the GBA. We believe this augurs well for Yanlord given its presence in Shenzhen and Zhuhai, which we estimate forms ~22% of its land bank. There are a number of risks that Yanlord faces during the course of its operations. While the following list is not exhaustive, we highlight some of the more pertinent risks. To stabilise the property market, local governments have tightened policies and rolled out price caps which could pose a threat to developers. Downside risks to earnings could be caused by lower ASPs as a result of price caps and more stringent pre-sale permit approvals, thereby affecting launch timings and prices. These measures could potentially be a drag on margins for Yanlord due its high exposure to property projects in Tier-1 and 2 cities. Nevertheless, we believe there are some signs of policy normalisation emerging. A recent media report has cited slight easing of pre-sale permit restrictions in selected cities such as Shanghai, Xiamen, Hangzhou and Nanjing1. The overall policy environment is however, expected to remain fairly tight, in our opinion. Chinese property developers have tapped on various sources of funding to finance development projects, with the U.S. bond market being a popular source. In Apr this year and Jan last year, Yanlord issued senior notes amounting to US$300m (6.75% coupon rate) and US$450m (5.875%) due 2023 and 2022, respectively. Substantially all of Yanlord’s revenue and most of its expenses are denominated in RMB. Hence, should there be a significant depreciation in the RMB against the USD and other currencies which Yanlord is exposed to, there may be an adverse impact on its profitability and financial position. We believe ~70%-75% of Yanlord’s total borrowings are denominated in RMB. We highlighted earlier that Yanlord has practised prudence in purchasing new land bank in light of the more challenging selling conditions. However, due to stiff competition, there is likelihood that Yanlord may have to increase its future acquisition costs. This could increase the strain on its balance sheet. Furthermore, the ability to monetise projects quickly is crucial for developers to service their debt obligations. Hence, should there be a liquidity crunch or unfavourable price caps on selling prices, this may affect Yanlord’s ability to clear its inventory. With higher mortgage rates observed recently, it is possible that property purchases by consumers could be delayed till a more favourable juncture. In the northern province of Hebei in Feb 2018 for instance, we understand that rates for first home buyers have risen by 5%-10% over the PBOC benchmark rate, while rates for second home buyers have spiked 20%. As such, developers may be required to reduce prices in order to maintain healthy sell-through rates. Despite concerns over a higher interest rate environment, we note that new property loans still grew 11.8% y-o-y to RMB1.9t in 1Q18, a reflection of resilient demand for the sector. Yanlord’s 1Q18 revenue grew 13.7% y-o-y to RMB7,188.0m, while gross profit jumped 28.1% y-o-y to RMB4,004.4m. This performance was mainly driven by higher margin projects in Shanghai – Yanlord on the Park and Yanlord Western Gardens which accounted for a combined 88.0% of the Group’s total property sales. Although GFA delivered by Yanlord dipped 47.0% y-o-y to 83,867 sqm, this was offset by a surge in ASP to RMB80,172 psm (+109.1%) which boosted its gross margin by 6.2 ppt y-o-y to 55.7%. However, as Yanlord’s interest in Yanlord on the Park and Yanlord Western Gardens is only 50% and 60%, respectively, its PATMI declined 14.7% y-o-y to RMB797.1m due to a larger attributable portion of non-controlling interests (+87.2% y-o-y to RMB999.0m). Looking ahead, Yanlord has accumulated pre-sales of RMB18,197m which are pending recognition, as at 31 Mar 2018, with advances received amounting to RMB16,602m. Only RMB1,595m, or 8.8% of its accumulated pre-sales are pending collection. We believe this highlights the low default risks from its customers. Yanlord will continue to conduct new launches of existing projects in the second half of the year across its core markets and we expect its pre-sales for FY18 to be backend-loaded. Based on total saleable resources of RMB45b for FY18, management has targeted pre-sales of RMB32b-35b. We conservatively project Yanlord’s contracted sales to come in at RMB32.7b, which translates into growth of 24% and a sell-through rate of 72.6%. For FY19, we forecast contracted sales to grow 20% to RMB39.2b. This would translate into stronger revenue and earnings for the Group in the future upon delivery of the projects. Due to a change in product mix expected for 2H18, we believe Yanlord’s recognised ASP and gross margin would moderate from 1Q18. Our assumptions include recognised ASP of RMB44.4k psm for FY18F and RMB43.0k psm for FY19F; GFA delivered of 626.1k sqm in FY18F and 729.0k sqm in FY19F. Consequently, including our assumptions for its Property Investment and Others segments, we forecast total revenue of RMB27,710m (+12.0%) and RMB32,340m (+12.6%) for FY18F and FY19F, respectively. In terms of profitability, we forecast core PATMI to grow 9.2% in FY18F and 8.6% in FY19F. Although gross margin for FY19F is projected to decline to 42% from 49% in FY18F, this is expected to be offset by a smaller attributable portion of non-controlling interests. Due to our projected growth in earnings for Yanlord, we correspondingly forecast its dividends per share to increase from 6.8 S cents in FY17 to 7.5 S cents in FY18F and 8.0 S cents in FY19F, implying a payout ratio of 20% for both years. Yanlord is trading at an attractive P/E valuation of 4.5x for FY18F and 4.2x for FY19F on our projections. Our core PATMI forecasts are 7.9% and 9.2% lower than consensus for FY18 and FY19, respectively. Based on Bloomberg consensus’ estimates, Yanlord’s forward P/E comes in at 4.2x for FY18F and 3.8x for FY19F. We compare Yanlord with a list of developers with significant exposure to the PRC market which are listed on the Hong Kong Stock Exchange and/or Shanghai Stock Exchange. Yanlord is trading at FY18F P/E of 4.5x and P/B of 0.62x, a steep discount of 42.3% and 60.9% to its peers’ weighted average, respectively. While we acknowledge that Yanlord should be trading at a discount to its peers given its smaller size (market capitalisation and asset base), we opine that this sharp discount is unwarranted given Yanlord’s superior product quality and healthier balance sheet, while it also positions favourably from a ROE versus P/B perspective vis-à-vis its peers. We see room for re-rating ahead as management continues to enlarge its scale in a prudent manner to drive its contracted sales and earnings growth. We value Yanlord using a P/E multiple approach as we believe this methodology better reflects a developer’s ability to turn over its assets, while earnings growth is also likely to be a key driver of share price movement and this is better captured using a P/E valuation. As there are still some policy headwinds in PRC, albeit with signs of potential normalisation, we conservatively ascribe a target P/E peg of 6x in our valuation, which represents one standard deviation below both its 10- year and 5-year average P/E ratios of 8.9x and 7.4x, respectively. Applying this to our FY18F core fully diluted EPS forecast (FX assumption of S$1 = RMB4.85), we derive a fair value estimate of S$2.24 on Yanlord. Although Yanlord’s share price has appreciated 4.9% YTD, as of the closing price on 5 Jun 2018, we still see deep value at current price levels. Coupled with a decent FY18F dividend yield of 4.4%, we initiate coverage on Yanlord with a BUY rating, with potential total returns of 36%.